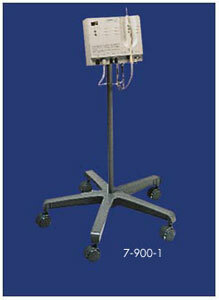 The Hyfrecator® has been the #1 product of choice by physicians in office based electrosurgery for over 60 years. CONMED is pleased to continue this tradition with the new Hyfrecator®2000 which features: Memory to store up to 3 power settings. 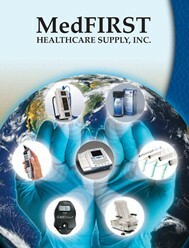 Remote control handpiece to change power settings, maintain the sterile field and decrease procedural time. Dual Microprocessors: one to control the function and output of the Hyfrecator®, the second to terminate activation if a hazard or safety issue isdetected. Cost effective alternative to various laser procedures. One microprocessor controls the output and functionality of the system while the second terminates activation if a safety hazard is detected. 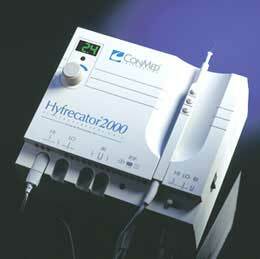 This makes the Hyfrecator 2000 one of the safest office-based electrosurgery units in the world. Self-diagnostic tests are performed every time you turn on the Hyfrecator 2000. This ensures that all systems are functioning properly which increases patient safety. Computer memory saves the last procedural setting until you change it yourself. Automatically saves high, low and bipolar settings.